The development is located 2.5 miles north of downtown at Fulton St. and Cavalcade St. The gated community will have 39 townhomes starting at $349,000. The four, two-story plans range from 1,423 sf to 1,627 sf. 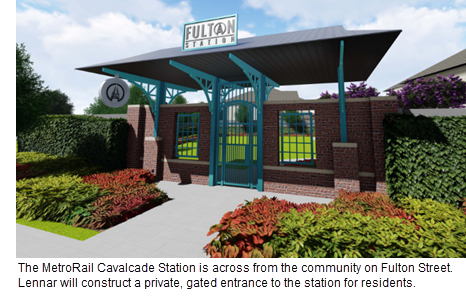 In addition, Fulton Station will offer private backyards, two-car garages, and ten-foot-wide driveways.